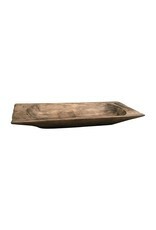 Authentic reproduction of an India dough tray used for mixing and kneading the dough. Handcrafted from solid reclaimed wood, so each will vary slightly in size and finish. 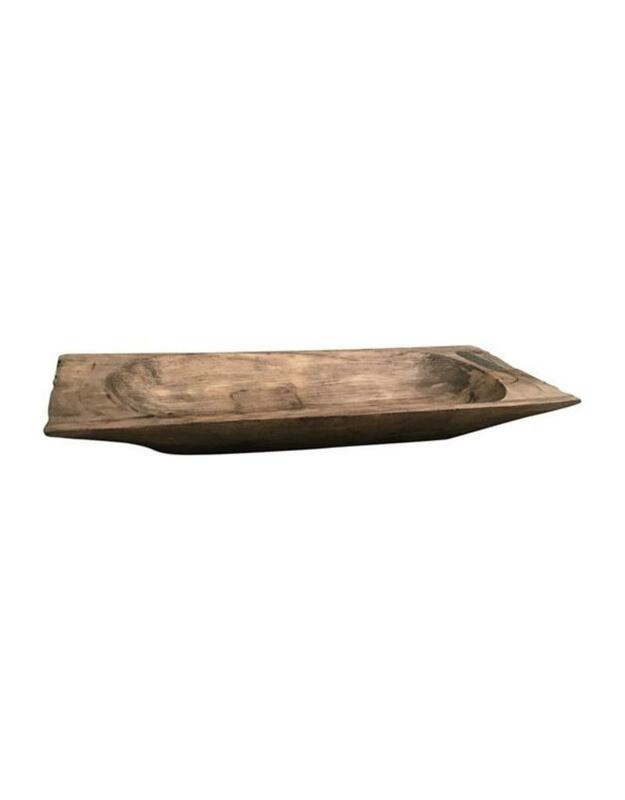 Our trays include an iron band, that was often added to help control the splitting of the solid wood dough trays. Solid wood will continue to move with temperature and humidity changes, which can result in small cracks and uneven surfaces, adding to its authenticity and character.